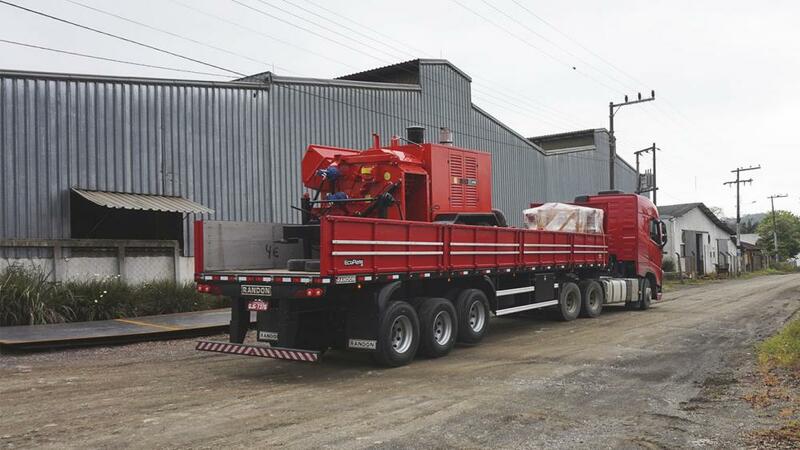 Lippel recently delivered a high performance Forestry Chipper in the state of Mato Grosso - Brazil. The model delivered was a PFL 400 x 700 MC. The PFL 400 x 700 MC is a high productivity wood chipper for the large scale production of wood chips. This forestry chipper can be equipped with a motor up to 315 HP and reaches productions of 120m³/h. Lippel develops a line of high performance forestry chippers with the aim of providing a powerful working tool for those who work with the processing of reforestation wood for the sale of the wood chip or for those who have boilers or furnaces and are interested in the economy of their resources, carrying out the own production of chips for the energetic burning. The PFL line forestry chipper have been designed to have a compact design and high efficiency cutting system, delivering the best in terms of productivity, as well as facilitating their transport and locomotion while working.